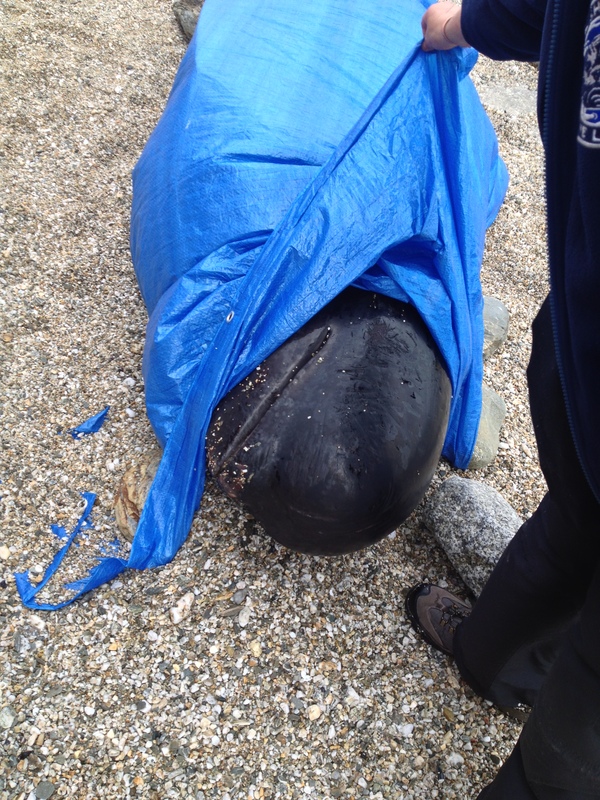 Yesterday got word that a whale had stranded at Castle beach in Falmouth so I left work early to have a look. By the time I got there, the approximately 4 meter Long-finned pilot whale Globicephala melas was already put out of its misery, as it was severely emaciated. Sad! This entry was tagged Globicephala melas, Long-finned pilot whale. Bookmark the permalink.